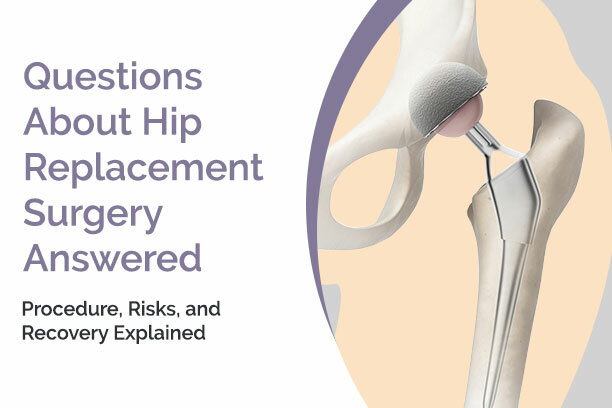 Got questions about hip replacement surgery? The hip replacement surgery is performed in two main ways. It can either be performed traditionally or in a minimally-invasive way. In the standard procedure, a general anesthesia is administered to relax the muscles and put the patient into a deep sleep in order to prevent any pain or awareness during the surgery. Then, the doctor makes an incision along the side of the patient and moves the muscles that connect to the top of the thighbone until the hip joint is visible. The ball portion of the joint is then removed by cutting the thighbone with a saw, followed with the attaching of an artificial hip joint using cement or a special material that allows the bone to attach to the new joint. The doctor then removes any remaining damaged cartilage and attaches the replacement socket part to the hipbone. A drain is inserted to remove any fluid. Finally, the doctor reattaches the muscles and sews up the incision. A recent innovation has allowed for a minimally-invasive technique, which many patients now opt for, that involves making one to two cuts between 2 and 5 inches long. The same procedure as listed above is then performed through these small cuts. The tiny cuts are intended to lessen blood loss, as well as ease the pain post-surgery, shorten hospital stays, reduce scarring and just generally speed up healing – although it’s still too early to tell how well this novel approach works. See video below on how a total hip replacement surgery is done. 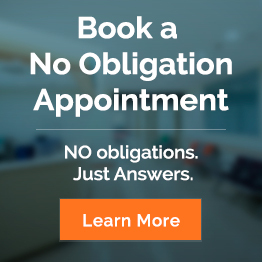 When scheduling your hip replacement surgery, it is imperative to find a highly skilled surgeon, especially when it comes to the minimally invasive technique. There are instances in which this new approach may actually be worse than with the standard hip replacement surgery if not done correctly or by a doctor who has very little experience. Also, it’s important to note that there may be some blood loss during the hip replacement surgery, and you may require a blood transfusion. Because of this, it’s a good idea to consider donating your own blood in advance of the procedure, just in case. Now to the not so fun part! After surgery, expect to stay in the hospital for more or less a week, with a wedge-shaped cushion between your legs to keep the new hip joint in place. You’ll also most likely have a drainage tube inserted in your bladder, as you won’t be able to get up and go to the bathroom. A day or so after surgery, physical therapy begins and within just a few days you should be able to walk with a walker or crutches. The physical therapy itself will continue for weeks and even in some cases, up to a few months following your surgery. While at home, avoid stair-climbing, or at least keep it to a bare minimum. That means you may have to live downstairs while you recover. Also, sit in a firm, straight-back chair – not a recliner! To help avoid any falls, remove all rugs, as well as ensure that the room you are staying in is free of any clutter or low furniture you might bump into. Oh, and if you want to help speed up recovery, what better way to do so than with our expert care-specialists at Body Restoration St Albert.